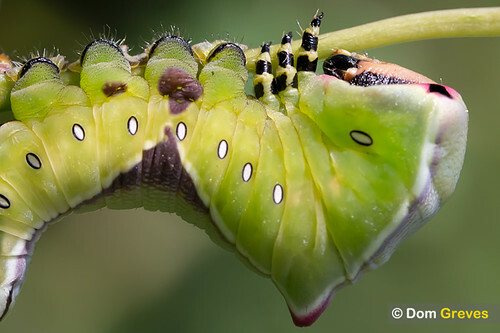 Caterpillars get a raw deal. It’s true that the lucky winners in life morph into fabulous winged creatures which transcend their earthy origins, but a great many of their brethren seem destined to become nothing more than a convenient snack for any number of passing creatures. Walking along the Purbeck coastal downland in mid summer I discovered a particularly unpleasant variation on this theme. I was hoping to photograph some Adonis blue butterflies – a local speciality – but became mesmerised by a collection of tiny cocoons fastened to a grass stem. The more I looked, the more cocoons I found, but all appeared to have been vacated. 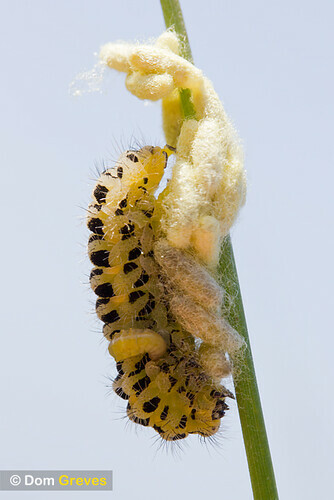 This time the larvae were all too evident, as they appeared to be burrowing out of the caterpillar’s skin! The perpetrators in this instance are a species of Braconidae wasp which lay their eggs inside caterpillars. 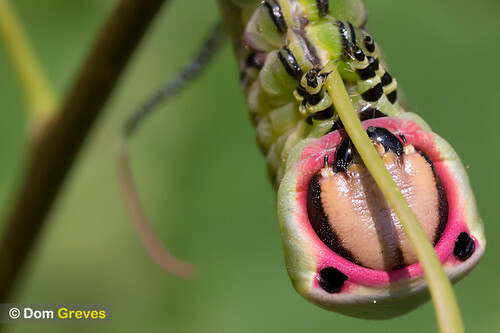 When they hatch the larvae consume the caterpillar from the inside, but are careful to spare vital organs in order to keep their victim alive. Eventually the larvae cut their way out using specially adapted sharp mouthparts. 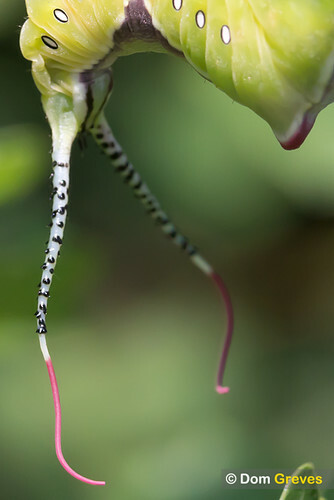 When they emerge they immediately spin cocoons attached to the caterpillar. 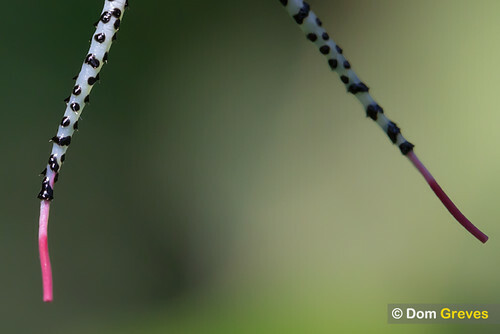 Recent studies suggest that the larvae influence the caterpillar’s behaviour to remain in place and guard the cocoons. Thus brainwashed, the creature may even spin it’s own silk around the cocoons to further protect them. 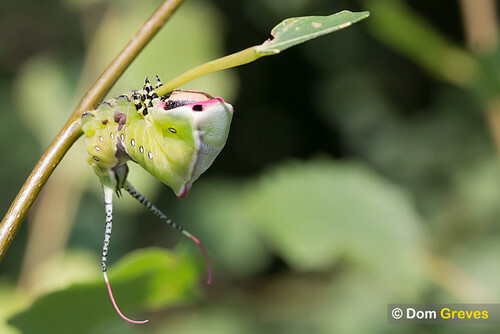 The wasps later hatch and the zombified caterpillar dies of hunger. Ain’t life great! The Braconidae wasps don’t get it all their way however, as another variety of Ichneumon wasp parasitises the Braconidae pupae inside their own cocoons. I found an example of this behaviour a bit further along the same stretch of coastal downland. The cocoons had been deserted by their caterpillar protector for some reason, which left them exposed.